The excitement of moving into a new home can be exhilarating. 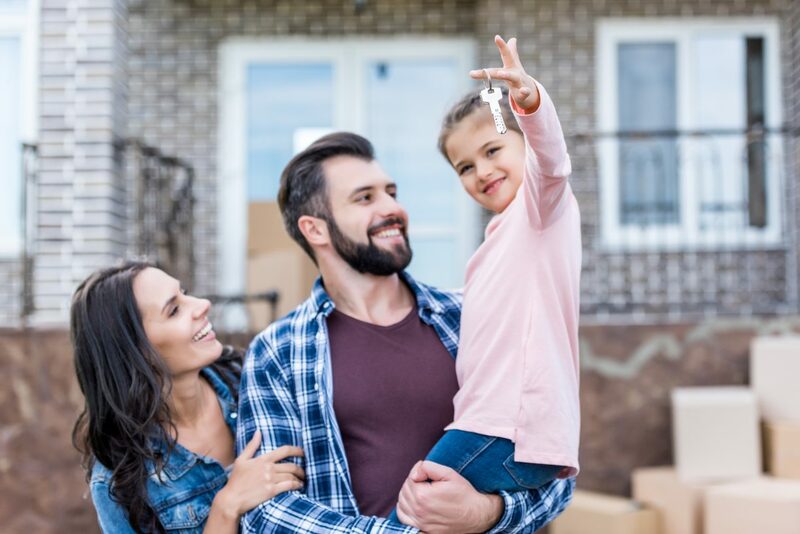 Whether you are turnkey-or-bust… or thrill at the prospect of freshening paint, decorating, buying furniture and maybe even knocking out a wall or two… the move-in process is something almost all of us look forward to. The fun part is always imagining what your new place will look like once you put your own creative touches to it. Maybe you are selecting new appliances or simply searching for just the right spot for your grandmother’s antique coffee table. But in any and every case, you must complete certain big picture priority tasks before moving in to your new home. No one wants to move into a new home without power. And some of us can’t live a day without our Netflix or TV provider. Scheduling these service installations in advance will make for a smooth and seamless transition. Informing your local utility companies well ahead of your move-in date will help ensure that on day one you have water, lights and air conditioning—or heat. Find out if your new home uses gas or electricity… or both. Find out if you need to arrange for the water to be turned on, or if you have a well. And be sure to do some research on the internet and cable providers in your area. Some buildings or locations may be zoned for only one company. And further, some rural locations may only have satellite service available. In the world of bundling, you might get major discounts for using the same provider for cable, phone and internet. Understanding whether your current plan can simply be transferred—or whether you need a new plan—is key and may save you both time and money. Oh and don’t forget to cancel your old services! If you are moving into an apartment or condominium, this might not be that important in the grand scheme of things. You’ll probably be disposing of your own trash in a designated location. However, moving into a house or townhome is a different concern. Local municipalities have differing policies on trash pick-up and recycling. Some provide these services gratis as part of the local taxes. Some areas have private companies you can call upon to collect your waste. And in other areas you may have to transport your own household waste to the dump or landfill—where you may be required to have a permit. Don’t wait until you are surrounded by boxes and packaging materials needing disposal… Understanding the waste management policies in your area—before you need it—will make life a little easier. Oh, and please check the recycling and yard waste policies in your area. These can usually be found on your city or county website. One of the many projects new homeowners embark upon is to remodel a kitchen or bathroom. This could mean ordering new appliances, or perhaps you are installing new cabinets. These items take time to deliver, sometimes even weeks. Also, the contractors performing this type of work usually have a busy schedule. You can avoid major headaches by planning ahead and scheduling for deliveries and remodeling work to be done in a timely fashion. And if you plan to paint, be sure to do it before your appliances arrive. Now that you have a new address, you might as well start using it. Update your contact information with anyone who uses your address, starting with the postal service. It is simple to put in a change of address online at USPS.com, plus you will get all kinds of offers from utility companies, furniture stores and home improvement warehouses that will make your move even smoother. And be sure to update your address with your bank, credit cards, children’s school, employer, etc. You probably sorted your belongings while you were packing… but there is nothing like unpacking in your new home to bring out your inner Marie Kondo. You really want to make sure you’re filling those new shelves and cabinets with the things that spark joy for you. If you have a plan in place ahead of time, whether it’s to deliver all your unwanteds to Goodwill or to call a junk removal service that handles recycling and donations for you, you will give yourself a better shot at a fresh new start. And OK, moving day itself may or may not be the most exciting day, depending on what kind of help you have and whether it’s raining. But let’s put all that aside. There are some critical steps that must be done before you move, including this checklist. And with enough lead time, accomplishing the big picture priority tasks will ensure that your move-in date goes smoothly. At the end of the day you will be able to sit back and enjoy a nice cup of tea or glass of wine in your new home.